An Assistive Technology Practitioner (ATP) is a person who is able to evaluate what a person needs, then help him or her choose suitable assistive technology to meet those needs. This person is also able to educate the person regarding how to use the equipment chosen. Getting certified as an ATP is an expression of assurance of excellence in the field. Many organizations and agencies require certified providers. The exam to become certified in this capacity includes 200 multiple-choice questions on performing assistive technology in general. 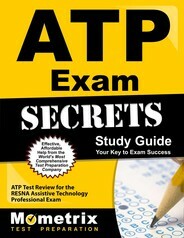 Of these, 50 questions are about specific case studies for ATP providers; these specific questions have been created to evaluate a candidate’s particular knowledge and understanding. The rest of the questions include the same subject matter for both the ATS and Assistive Technology Practitioner (ATP) exams. In order to take the test, candidates must meet the specific academic and work requirements beforehand, and will need to provide documents of proof for these requirements. The test is taken with pencil and paper. 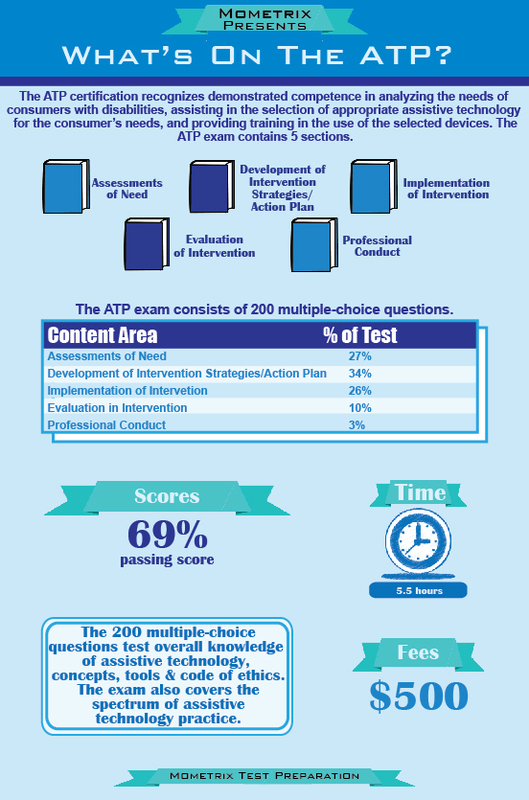 Ace the RESNA - ATP test using our RESNA - ATP exam study guide with practice questions. 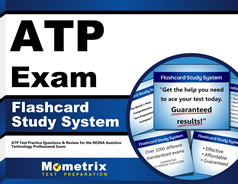 Quickly Solve Difficult RESNA - ATP Test Questions with the RESNA - ATP Flashcard Study System.